Survivors include her daughter, Kim Joosten and her husband, Todd; sons, Kyle Tully; and Troy Tully and his wife, Constance; grandchildren, Mitchell Tully, Jessica Joosten, Jennifer Joosten, Jacob Joosten, Mathew Tully, Gage Tully; and numerous family and friends. She is preceded in death by her husband, Winfred “Pug” Lee Tully, her parents Archie and Ruby Morgan, and her sister, Alice Sanchez. 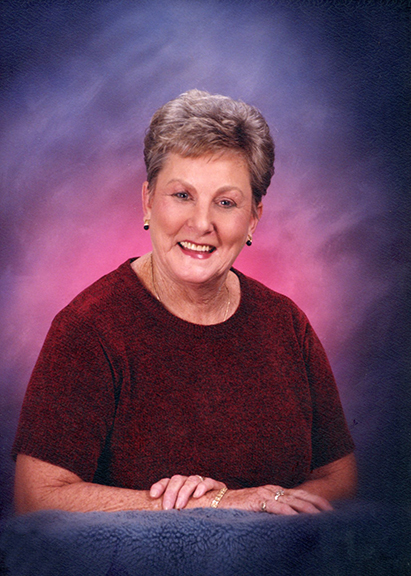 A gathering of Mrs. Tully’s family and friends will be from 5:00 p.m. until 8:00 p.m., Monday, April 1, 2019, at Broussard’s, 2000 McFaddin Avenue, Beaumont. Her funeral service will be 11:00 a.m., Tuesday, April 2, 2019, at Wesley United Methodist Church, 3810 North Major Drive, Beaumont. Her interment will follow at Forest Lawn Memorial Park, Beaumont. I am the wife of Gilbert Quibodeaux who was one of Pug's good friends and classmates. They are now back together again but in Heaven. Our thoughts and prayers are with all of you. We will always remember your family as our neighbors. You may not remember me but I worked in CT at the "old Baptist". I remember both of your parents so well. I'm very sorry for loss. Prayers of comfort for you and your family. Thank you for sharing a part of your life and time with us. The Fourth of July holidays at Gilchrist. Sitting on the beach with the extended family. The memory is golden..
Sweet memories of your mom. Met her when I graduated and went to work at Baptist Hospital in 1962. She has always remained the same and was always kind and was glad to be reunited in our SS class. Her seat will always preserved w/her memories and her dedication to our class. Prayers for each of you and sweet memories of her life. God bless each and everyone of you and know she was loved by all. So sorry to hear of your loss. My thoughts and prayers are with you and your family during this difficult time.